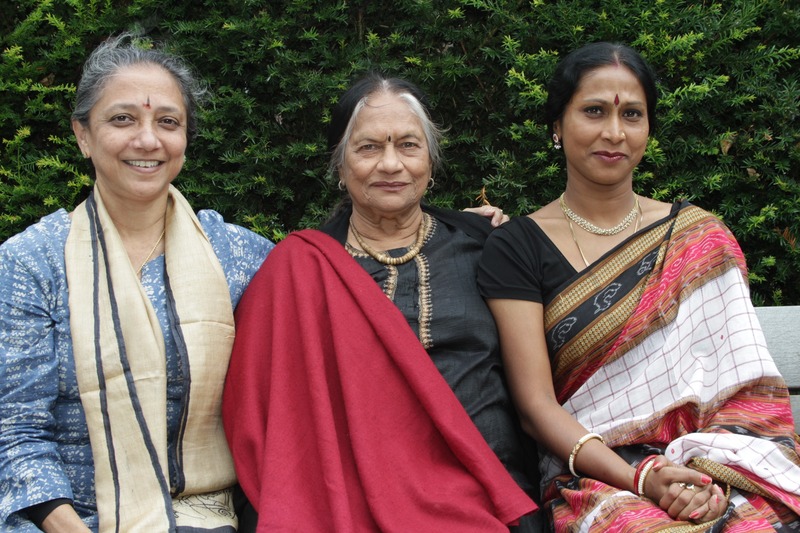 Messages from previous Dance India faculty members! “It was a wonderfully enriching and rewarding experience to be a part of Dance India. The enthusiasm, passion and devotion to the arts that one sees everywhere on the campus was inspiring. The difference that Milapfest makes to students lives is something that will stay with them all their lives. Here, one can truly experience your motto – uniting hearts through arts. Thank you for a memorable experience! “This was a most memorable week in my life. We lived through the spirit of dance every moment that we were here. I was particularly thrilled with the enthusiasm of the the students who have shown such a desire and dedication for dance. Milapfest has achieved this because the intention is genuine which will take the dance the greater height. Our dance-styles have to stand the test of time in this country”. “The enthusiasm at the Dance India Summer School has been amazing. It has been a great experience not only for the student participants but to all of us teachers. Kudos to Milapfest who have made this congregation of dancers & dancer lovers memorable. Personally for me and Jaya, it has been yet another mile stone in our long journey which has praised beyond doubt. That the classical art forms will survive for ever”. “This week with Dance India has been a revelation for me! I am grateful to the Seers – that Indian arts will have an opportunity once again to put its ‘foot mark’ on the scenario in England. The beauty & philosophy is unique and must speak its own language”. “Dance India is absolutely unique! It has been an experience that I will treasure. The interest and enthusiasm of the students was a pleasure and meeting the gurus and other artist was a pleasure. Great job – Milap!”. It is always a pleasure for me to perform at Milapfest’s Indika festival and to be part of the teaching faculty at Dance India. Milapfest provides students great exposure to various classical dance forms whose beauty they can learn to admire. As classical artistes, we perform on many stages worldwide, but this is a very special stage. Through our dance, we teach the students; we give inspiration to them through our performance. Dance is a visual art, and the stage is like a magnifying glass, where you get to see the performer’s personality and technique. We teach technique in the classroom, but when students see us on stage, they learn how a performer projects her unique self and her art through her performance, and they simultaneously learn about the spiritual aspects of the dance. As both performer and teacher, I appreciate the opportunity Milapfest gives students and faculty to share the uniqueness of India’s art forms. “I wish every country had an organisation like Milapfest; the mission of preserving & popularising Indian Classical Dances would have become more too sure! A great experience and good energies & memories to take back home”. “Just to say that its been a memorable experience to be here with everyone with a big cause of spreading the magic of Indian classical dance (along with aesthetics and quality). Wish Milapfest the very best in all its future endeavours and promise my support in any which way. I feel I have a family here going back with a smile on my face”. “We feel greatly honoured to be associated with Milapfest. Hats off to Prashant ji and his excellent team for all the wonderful work Milapfest has been doing. Thank you for having us”. “Thank you very much once again for having me here at Dance India. It’s one of my most memorable & wonderful experiences. Just to be around great teachers. Gurus 24×7 gave me a never forgetting learning experience all my life. Loved teaching the students too”. “Milapfest is one of the best organisations with the most noble intentions and highly efficient team executing the visions. Whatever Milap does it is of very high quality and they are the TRUE promoters of Art. Our prayers to Milap for many such activities of Dance India. It has been truly and enriching experience to be at Dance India, to be with all budding talents. We salute Milap for its 25 years achievement in sharing, contributing and making a difference to the world”. “It was unique experience for me, I truly enjoyed it. First of all the members of Milapfest were just too good, very helpful and polite. I was blessed with wonderful enthusiastic students bright and smiley. I enjoyed my time with them. I wish you all the best”.